The airworthy Hawker Hurricane Mk. IIA previously discovered and salvaged from Russia is set for auction in Australia. 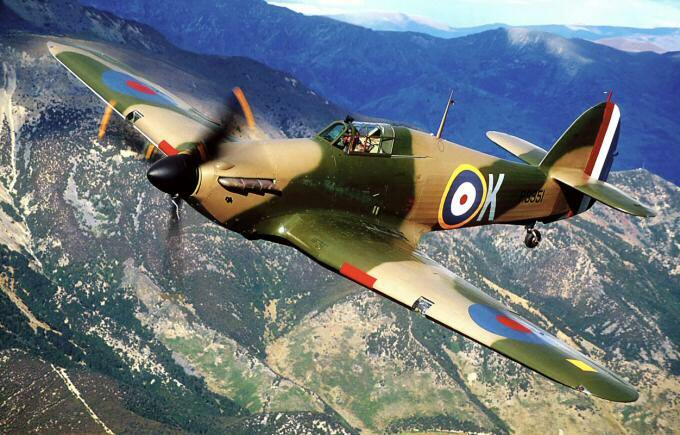 Auction house Bonhams & Goodman announced that it has consigned Alpine Fighter Collection’s restored Hawker Hurricane Mk. IIA ser no. P3351 for auction on 27 September 2009 in Melbourne. One of only eleven airworthy examples worldwide, P3351 is a survivor of four major campaigns including the Battle of France, Battle of Britain and service with the American Eagle squadron. Provided to Russia as part of the Lend-Lease programme, it was damaged and repaired several times before being shot down by ground fire in the winter of 1943 over the Murmansk area. Its remains were recovered from this area in 1991 and Wanaka-based aviation enthusiast, Sir Tim Wallis, purchased the plane a year later. It was Wallis’ desire that the Hurricane be restored to original airworthy condition and Air New Zealand offered to undertake the project. Alpine Fighter Collection Chief Engineer Ray Mulqueen oversaw this restoration which lasted full six years. The UK seemed the logical place for this activity so the basic airframe was restored by Hawker Restorations in the UK. Main wing outer panels were restored at Airframe Assemblies on the Isle of Wight. The aircraft was then returned to Christchurch in late 1995, where restoration to an airworthy condition continued until first flight on the 12th January 2000. The aircraft has been restored to configuration as a Mk. IIA. The engine used during restoration was a mint-condition post-war Rolls Royce Merlin Mk. 35 as opposed to the original Merlin XII. The aircraft is displayed in the colours of No. 73 Squadron, France, 1940. Registration letters assigned to the aircraft are ZK-TPK which is significant because ’TP’ was the Squadron code, and ’K’ was the identification letter for the aircraft when serving with that Squadron. This is the first time a fully operational Hurricane has ever been offered for auction and it is expected to fetch between AUS $2,000,000 – $4,000,000. Built at Brooklands in early 1940 as Hurricane Mk. I, P3351 was flown to France on the 1st June as a replacement aircraft for No. 73 Squadron who were based at Le Mans, where the ground crew at the squadrons advanced Echemines landing ground hastily painted the code ‘K’ on the side. By the 18th June the squadron was based at Nantes, covering the final evacuation of British troops from St Nazaire and Brest. The enemy was literally just down the road and just after 2pm, the lookout yelled a warning that the Germans were approaching. In a mad panic, the Hurricanes were refuelled and approximately eighteen of them departed for England. P3351 was one of the last to leave and was flown back across the Channel by P/O Peter Carter. The Battle of Britain was now commencing but No. 73 Squadron was given time to recuperate after the stress of the last weeks in France. P3351 was cleaned and tidied and the squadron letters TP were painted on the fuselage sides. On the 19th July ‘A’ Flight flew north to Prestwick to undertake a night-flying course. By early September, fitted with a new engine, it was transferred to NO. 32 Squadron at Acklington. Having had a torrid time based in Southern England the Squadron was now part of 13 Group and tasked with convoy patrols and X-Raid cover. During the next three months, P3351 was flown extensively by P/O Rose, undertaking the inevitable training as well as patrols of the north-eastern perimeter of Great Britain. On the 16th December, the squadron moved south to Middle Wallop to become part of 10 Group. Within 5 days, P3351 was gone – to a new stage in her life with the Americans. Before the United States entry into WWII, many Americans volunteered for service in the RAF and RCAF. The severe loss of pilots during 1940 allowed these men to join the RAF and saw the formation of the American Eagle Squadrons. 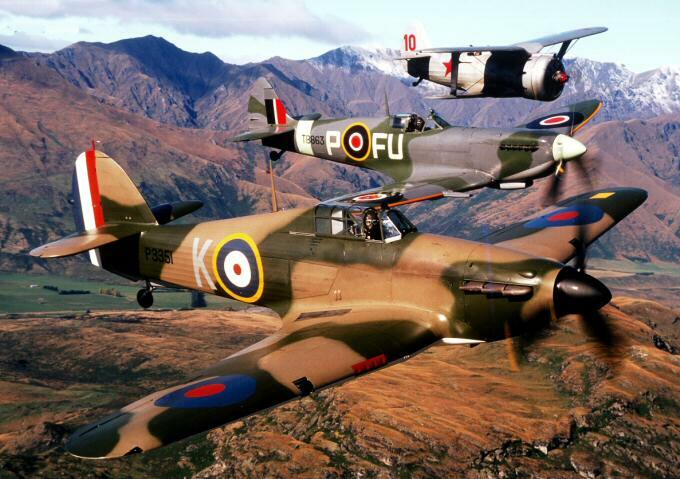 Of the thousands that volunteered, 244 American pilots were to fly for No’s 71, 121, and 133 Squadrons of the RAF. Records are incomplete for this period and although P3351 arrived at No. 71 Eagle Squadron at Church Fenton on the 21st December 1940 her first recorded flight was the 16th February 1941. On the 10th March 1941 two No. 71 Squadron Hurricanes undertook a patrol over Humber. Upon returning in the early evening, P/O Sampson-Taylor crashed on landing and P3351 was sent away for repairs. P3351 returned one month later to the same squadron now based at Martlesham Heath. It would see more operational flying during the next month with a number of patrols and scrambles. By the beginning of May 1941 P3351 was transferred to No. 55 Operational Training Unit at Usworth, and January 1942 saw her sent to Hawkers for another upgrade – emerging as DR393 in Mk. IIA Series II configuration. This ended the English flying career for Hawker Hurricane with identity P3351, as her next posting with the new identity of DR393 was to northern Russia. On the 3rd May 1942 it left England destined for Russia under the Lend-Lease Agreement onboard the merchantmen SS Ocean Voice as part of Convoy PQ-16, and on the 30th May it berthed at Murmansk. DR393 was re-assembled, then re-equipped with Russian cannon and would have seen combat against both fighters and bombers of the Luftwaffe. It is believed it crashed in the wilderness of tundra in the winter of 1943 and lay there undisturbed for 49 years, until recovered in 1991 and shipped back to England. 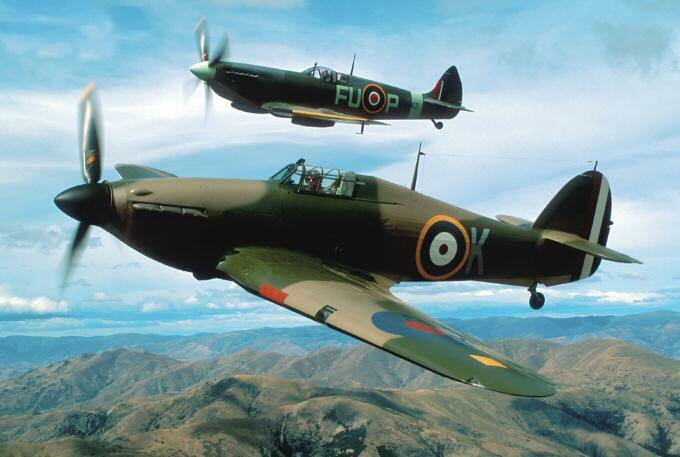 It is grossly unfair that ill-informed sources always overlook the fact that for every aircraft downed by Spitfires , Hawker Hurricanes downed three during the Battle of Britain. Everyone who flew Hurricanes , and the men who serviced them (my recently deceased Uncle was one of them) had great affection for that aircraft , and pilots KNEW that their Hurricanes would somehow get them home despite taking appalling punishment. Angus C.M. Condy. 1147/Sun/20/0202011 . I saw this aircraft in the Warbirds and Wheels Museum at Wanaka Airport yesterday. It was most interesting to read its history and look at one of the last Hurricanes still in flying condition. The Smithsonian’s Udvar-Hazy Center at Dulles Airport, in Virginia has a MkIIc Hurricane displayed, and I was fortunate to see that one in January last year. I recently read an article in Smithsonian Magazine about a company in England that restores Hurricanes to flying condition. I can’t remember the name of the company but they complete several a year, their only limitation is finding salvagable airframes to restore. Cost is determined per aircraft but I would assume you would be looking at one or two million USD to purchase one. If I only had the money! I had the great fortune of flying a P-51 Mustang once years ago, I can only imagine the thrill of flying a Hurricane or Spitfire.